MILLIONS will be spent by Spain’s Tax Administration Agency in a one-sided attempt to free up Gibraltar border crossings with ‘smart’ passes. A €5.3 million plan has been drawn up to install 12 barcode scanners and a ‘fast lane’ exclusively for Spanish frontier workers, to expedite crossings at the border. Gibraltarians who work in Spain will also be able to utilise the new system by applying for a pass that will require renewal annually. Opponents of the scheme say the move has been made unilaterally, without prior consultation with the UK or the European Commission. On top of all of this, the Spanish workers association in Gibraltar have also rebelled against the new system, saying that the Spanish tax office is using it to identify Spaniards who already pay taxes in Gib and then forcing them to pay taxes to Spain. “The new system is such a joke,” says native Gibraltarian Damian, who works as a tour guide on the Rock. The new system, which will replace the checking of IDs by border guards, will be introduced before summer 2015, according to the Spanish Customs Office. Expedite ha! So now the two car lanes we are using to enter Gib become 1 for (very) locals and one for everyone else. How is that helping speed things up? And for that to work on the way out Gibraltar would have to lose one of its 6 lanes it has available. So during working hours that one would be unuseable. This is a pretence at helping which will actually (as they are fully aware) make things worse. Don’t even want to imagine the chaos for walkers. This is window dressing, everyone knows the queues are nothing to do with passport control and everything to do with creating a distraction from the mess the PP has made of the economy. Wow what a clever idea ! Cleverly designed by the suits in office to appease the brown envelope politicos to divert attention away from real problems in the peninsula . I suggest they have a rethink as the constant harassment of tourists is having a tremendous negative impact on the whole area and conversely generating much sympathy for the people on the rock . If proof were needed that the “tobacco smuggling” excuse is entirely bogus – Madrid has come up with the farcical idea of a free pass will get Spanish nationals straight through the frontier while everyone else sweats it out waiting for the Spanish cops pretend to search their vehicles. Just pointing out that it shouldn’t read ‘Spanish Nationals’ as this is very misleading indeed… Gibraltar cross border workers are made up of many other nationalities, it should read ‘Spanish residents’ which as we all know are thousands of other Employee nationalities/ Europeans and other that Gibraltar employs, in particular the Online Gaming Industry. We all know that Spain is a very “small” country & this could be why they’re so keen to enlarge it by taking over Gibraltar. However, now they’re spending all this money is it to match Gibraltar’s 6 lanes at the frontier? I can’t believe it’s to issue little passes to those they feel should have a quick get away. It could be that they’re the ones that should be investigated more than the tourists? In my worldly travels I’ve noticed that it’s only “small” countries that have an unequal entry to their neighbors. Finally another point springs to mind…..why do the so called visiting EU inspectors, make their planned inspections known? Seems just a game to me & a bit like teacher saying “I’m coming round now to see who’s cheating”. For once a smart move by the Spanish authorities over Gibraltar. 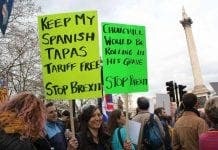 By allowing “residents” in Spain to bypass the queues, they know the delays will disproportionately hit Brits (who often avoid paperwork when they can). A bit futile in the long run though – eventually Gibraltar will be taken over by the US or the next world power; it won’t ever be under Spanish control. These measures are designed to facilitate Spain’s plan to crack-down on the thousands of free-loading Gibraltar tax domiciled expats who live in Spain and work in the British colony of Gibraltar. Looks like hell is hotting-up not freezing over after all. I agree with Futherbeyond. 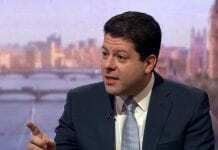 It is to try and futher tax the people who work in Gibraltar and then take the money into spain and spend it on rent, food, cars and other things. 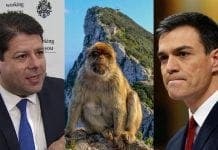 Gibraltar – the successful underdog versus a faltering bully. Love it. The people of Gibraltar have put up with enough of these racially motivated, evil, neo-nazi tricks from Spain. Long may Gibraltar stay British. God save the queen. Can’t help feeling Spain has won this little battle. It’s certainly caused the Spain haters to squeal “please boycott Spain”! And yet tourist numbers are as high as ever! The shame is that innocent day trippers will have to endure future queues, whilst those legal residents in Spain will have fast track access to Gib. Still not a big deal in the overall scheme of things..
Why don’t they come up with a 500 year joint sovereignty agreement, by the time it expires the warlike, kill for fun make life difficult for your neighbour species (humans) will all be gone and the planet can heave a big sigh of relief and get on like it did for millions of years before we came along and ruined it. They should have killed the first person who suggested we have politicians and we wouldn’t be in this mess. There are two sides to the border between Giraltar and Spain. Spain controls only one. Gibraltar has refused to accept these new border passes for Spanish workers, and therefore they will have to queue with everyone else leaving Gib. The longest queue is the one leaving Gibraltar. Tell me how these passes will benefit anyone? Nice to know Spain have millions to spend on such a project, crisis,what crisis? once we were a normal mammal happily jumping up and down in the baobob trees in the Rif valley, then a big earthquake sent us tumbling to the ground. Unfortunately not every monkey ended up lunch for the predator species, some survived and here we are. Just to clear things up. The 5 million that is deemed to be the cost of the modernization is subsidized by the European Union exclusively for the Gibraltar/Spain frontier.